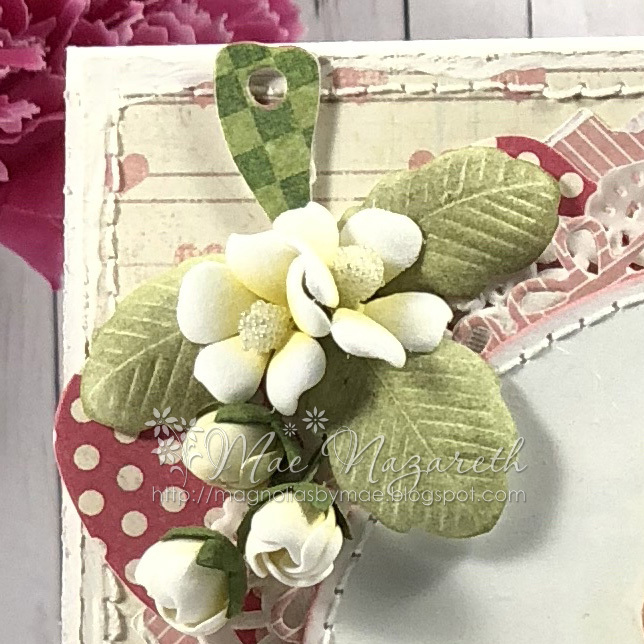 The Original Magnolia Inspiration Challenge is back! And this is our first challenge fro the year. Theme is Spring + one DooHickey Die. Now that's an easy one right? And I know everyone is waiting for Spring to come and it is just around the corner. 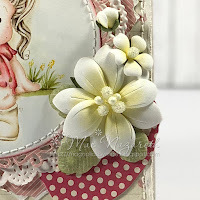 For my card today, I used a stamp from the It's Springtime Collection and use a few DooHickey Dies. I colored the image using Comic Markers and also with the branch and flowers. Be sure to link up your cards before the 25th of March for a chance to win a prize from Magnolia! Le Cirque & Bugs Kisses Blog Hop Winner! Congratulations, Candy! Please send me an email with your name and mailing address. Thank you everyone who left such lovely comments! Welcome back to another Magnolia Design Team Blog Hop! Today, the Design Team is featuring 2 of the latest collections from Magnolia. 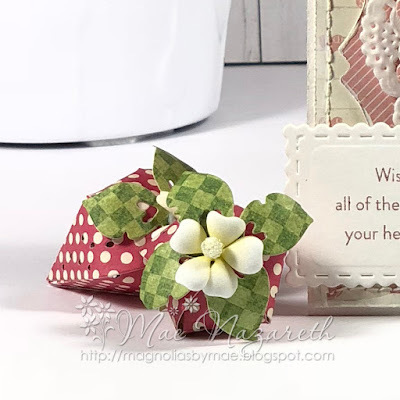 This blog hop is sponsored by none other than the Magnolia Rubber Stamps Sweden. On every blog you hop on to, just leave a comment for a chance to win a prize from Magnolia. This blog hop runs until the 3rd of November, 2018 and all winners will be announced on the 5th of November, 2018. So be sure to check on each of the blogs to see if you are a winner. If you came from Sabrina's Blog, you are in the right place. If you happen to just come across my blog, you can always start the blog hop HERE. For todays blog hop, I am using Sitting Clown Tilda from the Le Cirque Collection. I chose this stamp because you can use this stamp for various occasions or different card themes. So instead of going for a circus themed card, I went for a fall-autumn-harvest theme. I love the warm colors of autumn and I tried to incorporate it on my card. I tried to make it simple to make Tilda the focal point of the card. I colored Tilda and the pumpkins using Copic Sketch Markers. For the background, I attempted to make a water color back ground using Prima Watercolors. I do need a whole lot of practise with watercolors but I enjoyed playing with it. I fussy cut all the images and used foam adhesives for dimention. Yay!! You made it thru all the Magnolia DT Blogs. This is your LAST STOP. But if you want to go back and check out the other blogs again, here is the list of all the Blogs! 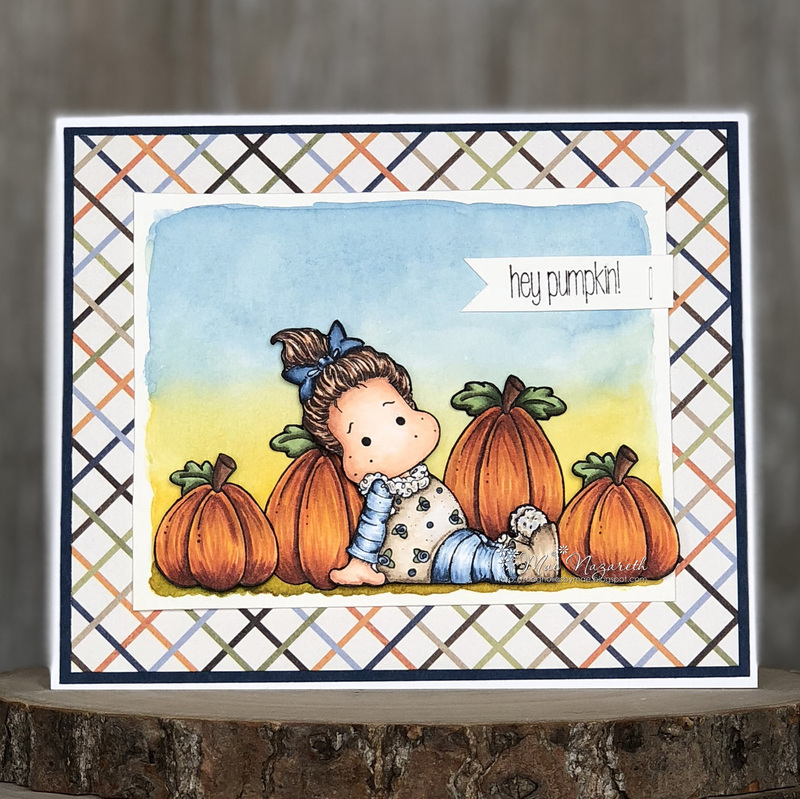 Thank you so much for joining us in the Magnolia DT Blog hop! Be sure to check back in on all the blogs on November 5, 2018, so see if you are a winner! Fruit Salad Blog Hop Winner!!! Thank you all for joining us in the Fruit Salad Blog Hop! I, myself was so inspired by the creations of my team mates. I hope you were too. Magnolia DT Fruit Salad Collection Blog Hop! Again, Congratulations to all the winners!! We hope to see you again on next Blog Hop! Hello Friends and Magnolia lovers! The Magnolia Design Team is having another Blog Hop. 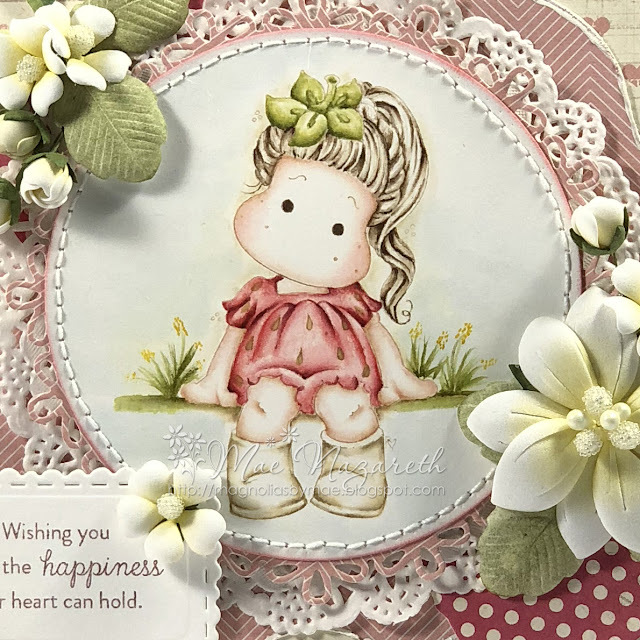 And as always, this blog hop is sponsored by Magnolia Rubber Stamps Sweden and of course you will have the chance to win a prize from Magnolia. Just leave a comment on each blog you hop on to. The blog hop runs until 23rd of April. The Design Team will announce the winners on the evening of April 24th, on our blogs. So make sure you hop back on to the blogs to see if you won! Now, on to the blog hop. If you came from Camilla H's Blog you’re on the right track! If you just happened to be on my blog, please CLICK HERE to start at the beginning. For my card today, I decided to use this little cutie. I'm not sure of the name just yet, but for now, I will be calling her Strawberry Tilda. I love strawberries. So when I saw this stamp, I knew she would be the first one I would color from this collection. I used Distress Ink Reinkers to color Tilda. I used the Strawberry Tag (blossom and leaves) DooHickey Dies for the strawberries on the card. And for the blossoms, flowers and leaves, I used Foamiran and stained it with Distress Ink. The 3D strawberry is also a Magnolia Strawberry Kit DooHickey Die. Now it’s time to hop over to my very inspiring DT friend Nancie's Blog! Remember this blog hop is only until April 23. And winners will be announced on April 24th. So be sure to leave a comment and check back in. 15. Mae --You are here! Sun Beam Blog Hop WINNER!!! 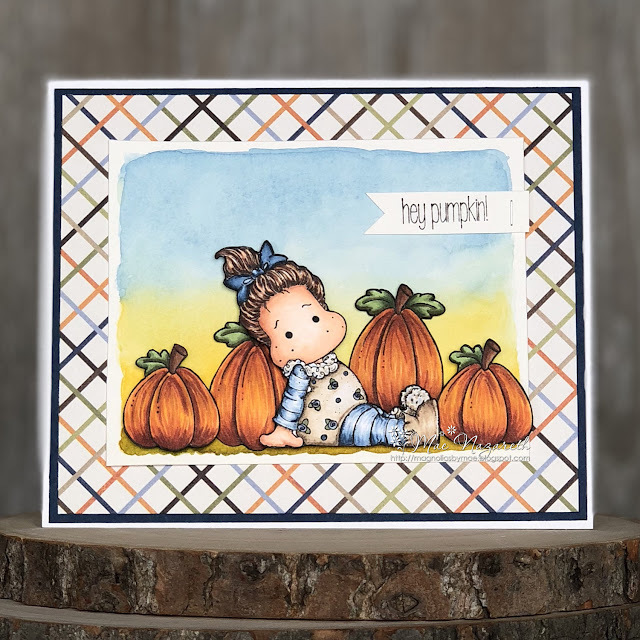 our Sun Beam Blog Hop!!! and drop by each of our blogs and leave lovely comments. A special congratulations to Steffi Raffe who won in my blog! to my email address found on the upper right corner for the blog page. Again, thank you for joining us and I hope to see you again on our next blog hop! So be sure to leave a comment on every blog you visit for a chance to win a prize. If you came here from Yuri's Blog you are on the right track. So, Hello there, friends! It's nice to be back. I know I've been MIA here in blogland for awhile but it is all because life got in the way. And by life I mean work, family life and we also moved. 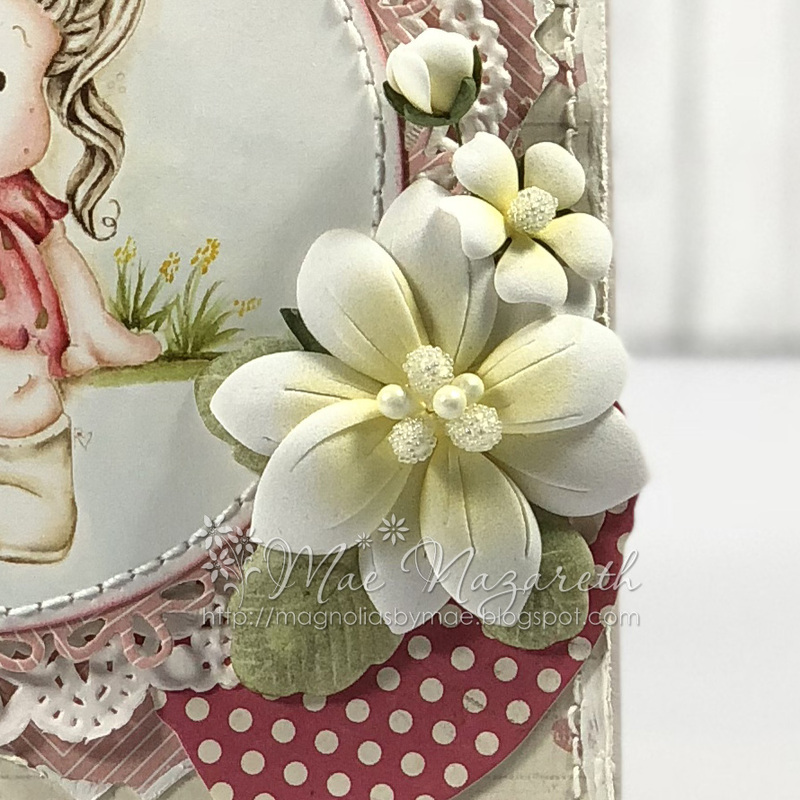 Anyway, I'm back with a Magnolia DT Blog hop. 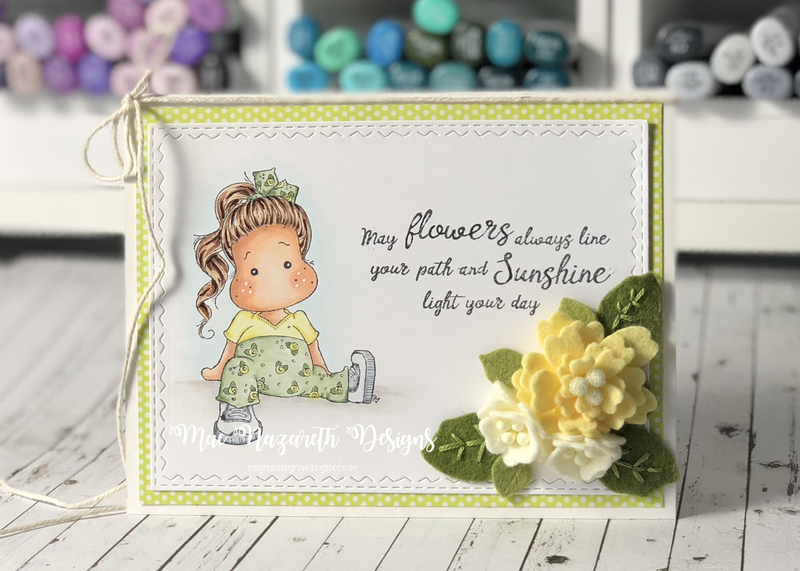 I made a simple card using Sun Beam Tilda and the sentiment that came with the collection. Copic Markers were used to color Tilda. Now for the flowers. 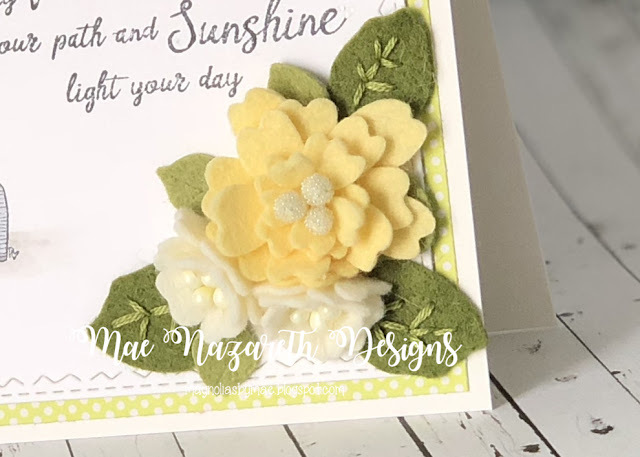 I used some felt to make these beauties and Magnolia DooHickey dies. I have fallen inlove with felt lately and I'm going to playing with felt in the coming weeks. Here's another card that I just added I know the bloghops has started but I thought I would add this card here becasue it is also from the Sun Beam Collection. 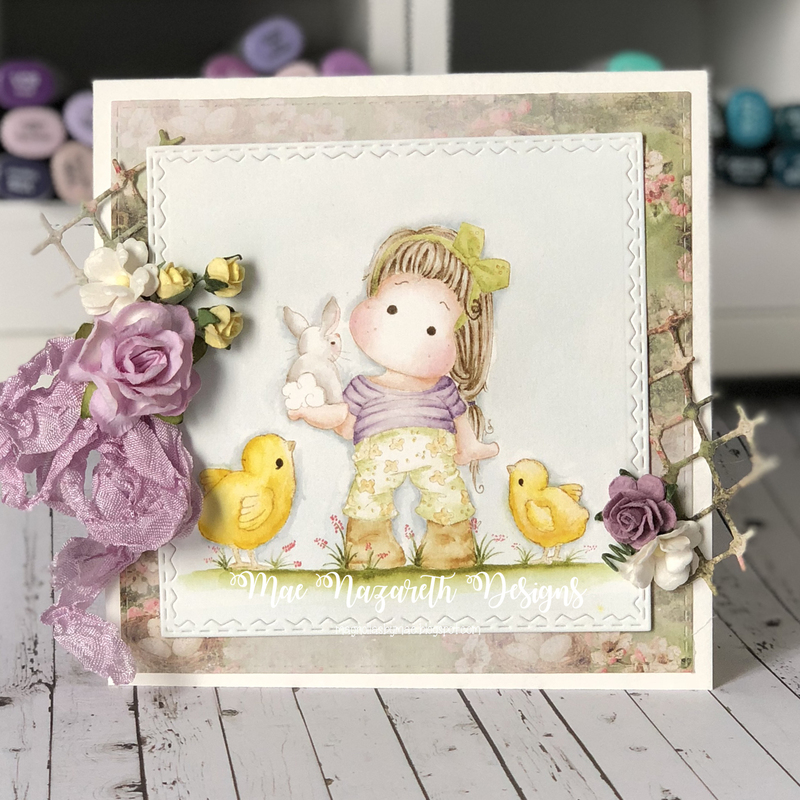 This is Tilda with Bunny and I used Distress Ink Reinkers to color this one. win a secret prize from all the Magnolia DT Blogs.